☕️ Good morning! Let's sports. 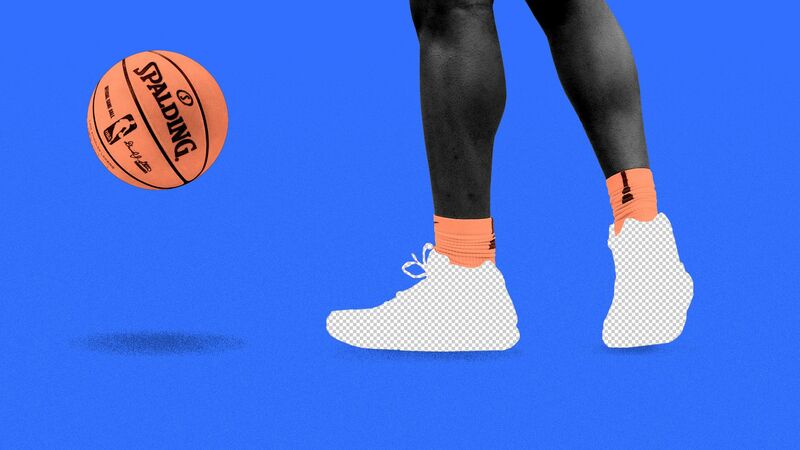 Why it matters: Many in the sneaker industry believe Williamson's deal will make him one of the three highest-paid rookie sneaker endorses ever, rivaling LeBron James and Kevin Durant. Chinese brand Anta, which has deals with Klay Thompson and Gordon Hayward, can't be counted out. FanGraphs' Wins Above Replacement (WAR) is an attempt to measure a player's contribution to their team in a single number. As a general measuring stick, teams are made up of scrubs (0-1 WAR), solid players (2-3) and the lucky few who ascend to MVP status (6+), writes Axios visual journalist Andrew Witherspoon. By the numbers: In the above chart, we've plotted all 30 MLB teams based on their total projected WAR, which tells us how good they're expected to be. We also took into account how much of that WAR is concentrated in their top players, which tells us how they might handle an injury or player regression. Best of both worlds: The Yankees and Dodgers stand out as two elite teams (first and third in total WAR, respectively) who are also well-balanced (the Yankees are the second-least top-heavy team, while the Dodgers rank sixth). Good, but unbalanced: Jose Ramirez (6.3 WAR) and Francisco Lindor (6.1 WAR) lead a top-heavy Indians squad whose playoff hopes are tied to those two staying healthy. Most balanced rosters: Teams with the least amount of WAR coming from their top five players: Twins (35.7%), Yankees (39.6%), Padres (39.8%), Cardinals (41.3%) and Diamondbacks (42.0%). Most top-heavy rosters: Teams with the most WAR coming from their core: Royals (57.8%), Angels (57.3%), Indians (55.1%), Brewers (54.2%) and Giants (52.5%). With just three weeks left until the 2019 NFL draft, ESPN's Mel Kiper Jr. and Todd McShay have released their head-to-head pick predictions for the first two rounds (subscription). QB disagreement: Kiper has Duke QB Daniel Jones going No. 15 to the Redskins, while McShay has him going No. 56 to the Patriots. Friendly reminder that Jones arrived at Duke as a walk-on... What a wild ride for that kid. Only one first-round RB: Kiper has Alabama's Josh Jacobs going No. 24 to the Raiders, while McShay has him going No. 27 — also to the Raiders (Oakland has three first-round picks). History: With pick No. 52, McShay has the Steelers taking Old Dominion DE Oshane Ximines, who is set to become the first player in ODU's short football history to be selected in the draft. The rosters for this weekend's second annual Dos Equis 3X3U National Championship have been announced. The field includes 100 All-Conference honorees, eight conference Players of the Year and one Consensus Second-Team All-American in Wisconsin's Ethan Happ. More notable names: Wofford's Fletcher Magee (D-I's all-time three-point leader); Hofstra's Justin Wright-Foreman (nation's second-leading scorer this year at 27.1 ppg); Minnesota's Jordan Murphy (first-team All-Big Ten; second-most rebounds in Big Ten history). How it works: The 3-on-3 style tournament is comprised of 128 seniors who have exhausted their collegiate eligibility (four from each of the 32 D-I conferences). The top two teams in each pool will advance to Sunday's knockout stage, where the stakes skyrocket. The champions take home $100,000, while the runners-up get $2,000 and the third-place team gets an additional $1,000. Venue: The tournament will be held on a custom-made court inside Minnesota's Mall of America (see rendering above). Looks epic. Media: All games will be carried live on Twitter or ESPN2, with former Purdue star Robbie Hummel and The Ringer's Tate Frazier and Mark Titus providing color commentary and sideline coverage. From Mike Sykes: The Canadian Women's Hockey League (CWHL) is shutting down effective May 1st after 12 seasons of play thanks to a failed economic model. As a non-profit organization that owned its teams, the CWHL had difficulty promoting and selling its product and, with no owners, struggled to build revenue. Why it matters: The National Women's Hockey League (NWHL) is now the last women's pro hockey league in North America. This might work: The league is expanding to Toronto and Montreal next season, taking over some of the territory that the CWHL is leaving vacant. And now, instead of contributing $50,000 to each league, the NHL will pay the NWHL $100,000 annually. But it might not: The NWHL's resources are still thin. They've had to slash player stipends in the past to make up for losses and adding more players might not help that cause. The big picture: The Minnesota Whitecaps just became the NWHL's first profitable team, so there's hope that the league can achieve economic stability if other franchises can follow their lead. 21 years ago today, NFL Europe, formerly known as the World League of American Football, kicked off its inaugural season post-rebrand. Details: The league was used as a developmental pipeline for the NFL until its demise in 2007. During its final season, the name was changed once again, from NFL Europe to NFL Europa. Notable alumni: Three Super Bowl QBs (Kurt Warner, Jake Delhomme and Brad Johnson) and two of the best special-teamers ever (Dante Hall and Adam Vinatieri). Question: Earlier this century, history was made when the same two teams competed in both the D-I basketball and football national championship in the same year. Who were the two schools? Hint: It happened in 2007. 8. The Ocho: "The Believer"
"After a mysterious freestyle ski run in last year's Winter Olympics, people called Elizabeth Swaney a scam artist and the worst athlete in the history of the games. They're wrong," writes Davy Rothbart for The California Sunday Magazine. Sounds like some people I know: "Swaney [is] the type of person who listens to audiobooks at double speed, attends Sundance screenings for documentaries and thrusts her hand in the air at post-show Q&A's, and considers emailing the authors of a self-improvement book called 'Designing Your Life' with suggestions on how they might improve their advice." Golf: The inaugural Augusta National Women's Amateur is underway. This is a historical event for a club that didn't admit its first woman until 2012. NBA: Here's a fun fact: The gap between James Harden (36.3 points per game) and the Rockets' next-leading scorer (Clint Capela: 16.6 ppg) is larger than the gap between Capela and me (0 ppg). Media: Stephen A. Smith is "in line" for a contract extension that could pay him $10 million per year, which would make him the richest on-air talent in ESPN history. 1. Will the Canadiens and Capitals combine for Over/Under 9.5 goals? Know this: They've played each other twice, with the Canadiens winning the first game 6-4 and the Capitals winning the second game 5-4 in OT. 2. Will Joel Embiid put up Over/Under 50.5 points + rebounds + assists + blocks against the Bucks? Know this: Embiid had 40 points, 15 rebounds, 6 assists and 1 block in his last game vs. the Bucks. Season averages: 27.5 pts, 13.7 reb, 3.5 ast, 1.9 blk. 3. Who will cover the spread in the NIT Championship between Lipscomb and Texas (-1.5)? Know this: Texas is 2-1 when favored by fewer than 3 points this season. Yesterday's results: 40.6% correctly predicted that Jon Lester would allow under 2.5 runs. He allowed 2 … 57.7% correctly predicted that South Florida (+5.5) would cover the spread against DePaul. They lost 100-96 … 72% correctly predicted that the Rockets (+1.5) would cover the spread against the Clippers. They blew them out 135-103. 35 total players correctly predicted all three outcomes … One player nailed the tiebreaker (Kyrie Irving scored 23 points against the Heat), which means they win an Axios T-shirt. We'll be in touch.